Anansi is a nonprofit that funds the high school education of students in Ghana, West Africa. Our simple goal is to better the futures of these students and, through their realized potential, the future of their communities and country. Ghana is a developing country, with growing momentum, where access to continued education for underprivileged youth can dramatically change their lives. Since 2005, Anansi has served over 200 students, introduced the artistic traditions of West Africa to supporters internationally, and facilitated volunteer opportunities in Ghana for individuals from across the globe. 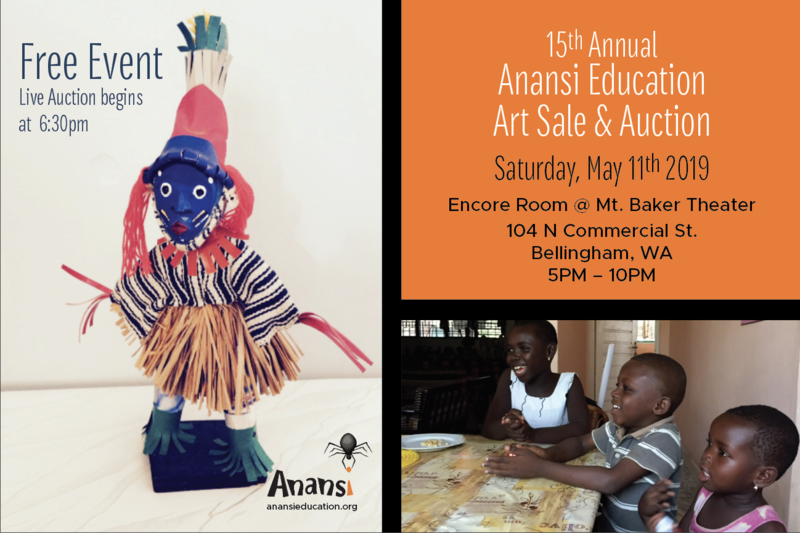 Connect with Anansi: Find us on Facebook to view photos, get updates, and connect with other Anansi supporters. Yacouba Dancing Figures for Sale!